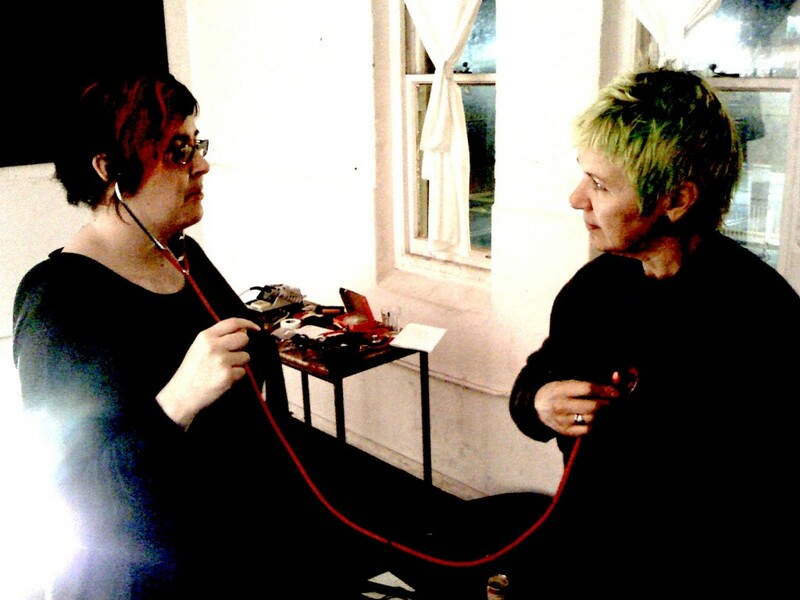 Auscultation 101 was a studio residency conducted in 2010 at the Perth Institute of Contemporary Arts. This residency was supported by the National Arts Council of Singapore. 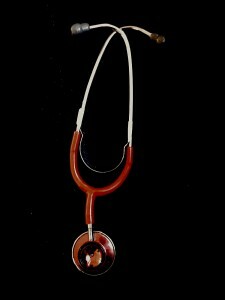 As an exploration into the deconstruction of the stethoscope as symbol, a new group of stethoscopic objects was created in an effort to remove its clinical bias, and also to ‘unload’ the psychosocial implications of welding the medical tool – in the hope that it would affect the conventional process of engagement and mode of listening. 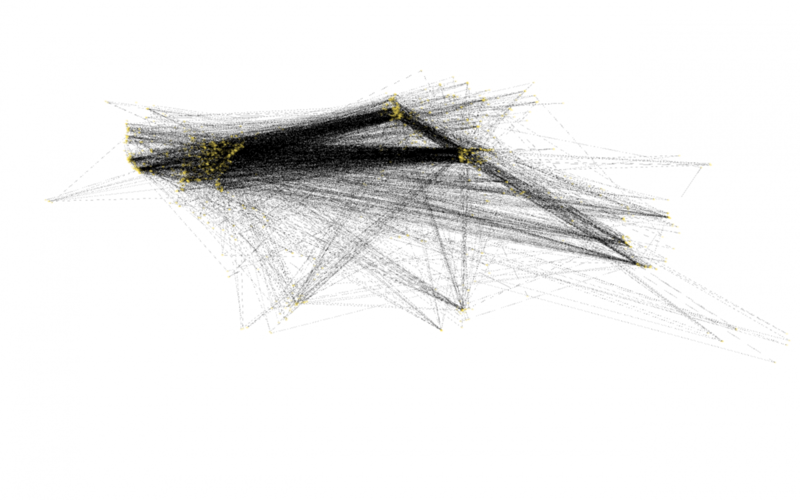 The resulting art objects were a mix of functionality and aesthetics. 1) stethoscopes with altered lengths and stethoscopic heads. These stethoscopic objects offered a new way of interacting that obfuscated and problematized the physical boundaries between doctor and patient, capturing new feelings of intimacy and distance through simple manipulations. 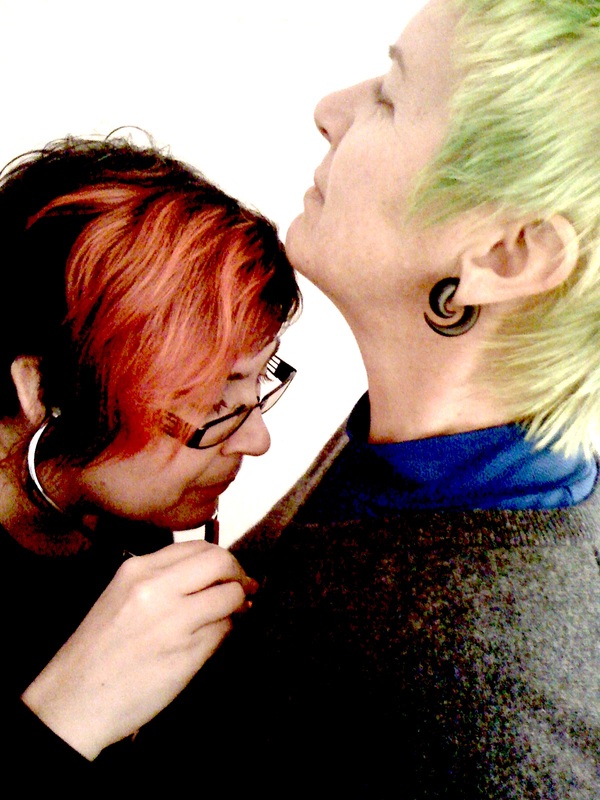 The “patient” dictates what the “doctor” hears and therefore knows about her. These new objects were offered as novel listening devices during the performance playing cage at PICA’s Open Studio in 2010. playing cage was a live performance presented at the central stairwell of PICA. Contact and dynamic microphones were placed around the cage to amplify the sounds of the cage and my footsteps up and down the stairs. The cage is rattled at each parts by metallic objects, causing numerous levels of feedback graduating from low to high frequencies and documenting a correlation of sound and space. playing cage was an effort in elucidating the internal structural acoustics of the form by listening to it engage with its surroundings. Playing Cage was also a homage to composer John Cage, one of whose many philosophical writings spoke about revealing the ‘hidden life within objects” by methods of percussions and listening to their interiority’.